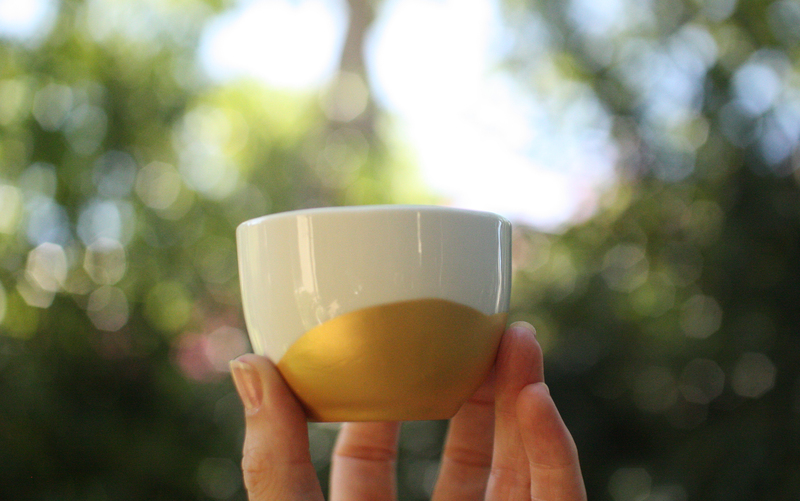 I made these gold-dipped bowls for a gold-themed party I helped organise for my cousin’s birthday last month. 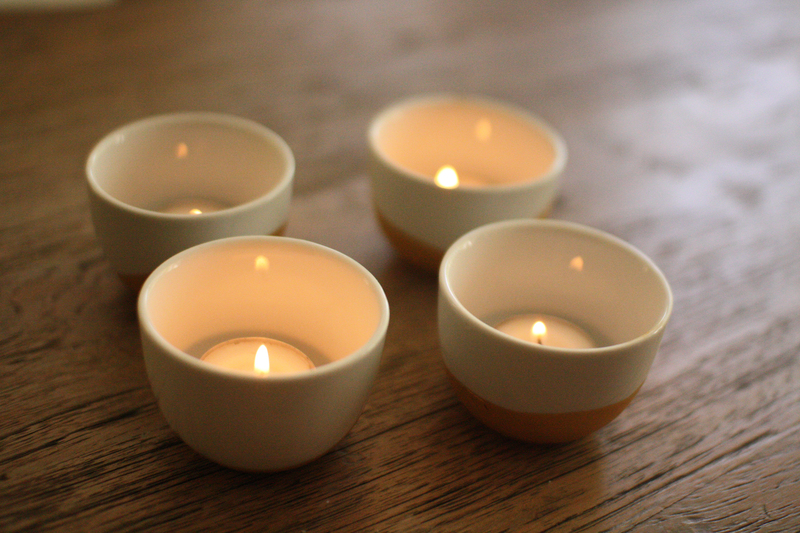 They were really easy to make and would make a lovely gift as tealight holders or snack bowls. 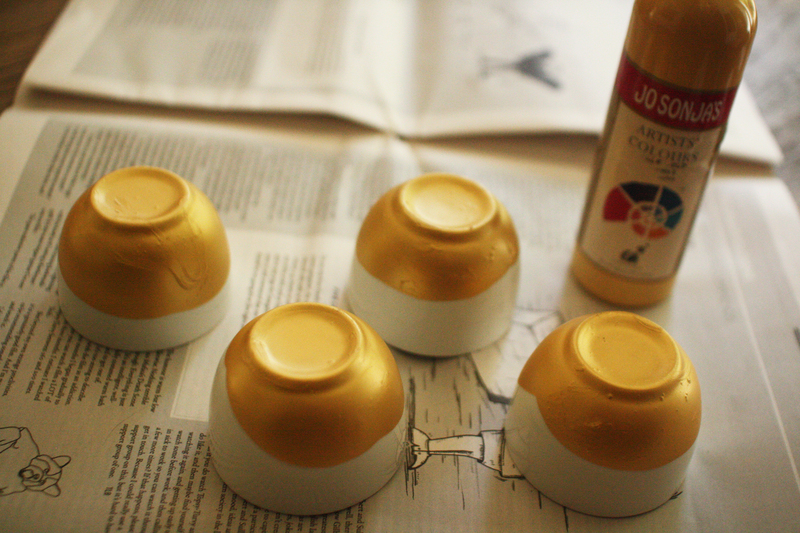 Pour the gold paint into your dipping bowl, until it is a couple of centimetres deep. One at a time, dip your ceramic bowls into the paint and swirl around so that you get a nice uneven edge. It will help to tip the bowl to get the paint at the level you want. Try not to let the paint get too thick in any area on the bowls. Leave your bowls to dry up the right way for a few hours (sitting on cloth or plastic, not newspaper as it will stick! ), then turn over to finish drying – this will avoid any drips going the wrong way. You can touch up any bits on the bottom where the paint has come off once you turn them upside down. 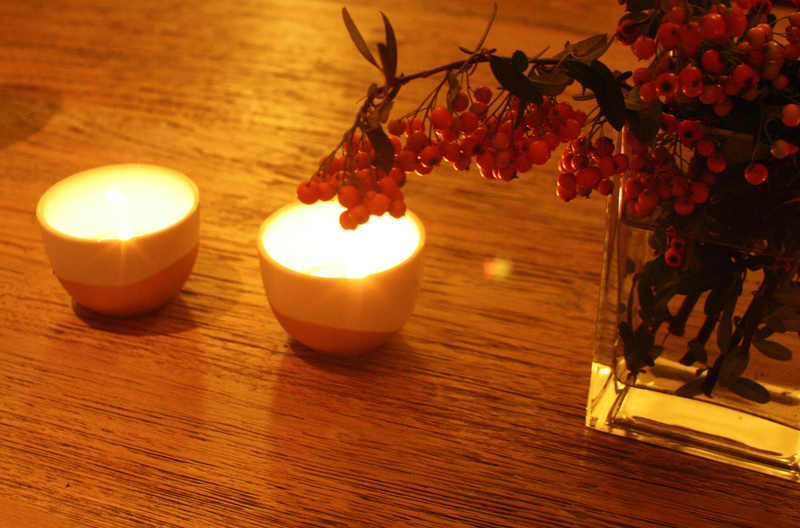 Once dry, wrap them up and give to a friend with a box of tealight candles or some yummy snacks to go inside! They will hold up to gentle washing, but avoid scrubbing or putting them in the dishwasher. 08 Mar	This entry was published on March 8, 2012 at 4:41 am. It’s filed under make and tagged make. Bookmark the permalink. Follow any comments here with the RSS feed for this post.